We just got back from an amazing trip to Ireland. While the country wasn’t originally at the top of my list, a work opportunity in Killarney popped up and we jumped at the chance to stick around after to explore the country. We’re SO glad we did! The beautiful scenery, food and hospitality of Ireland was unforgettable. 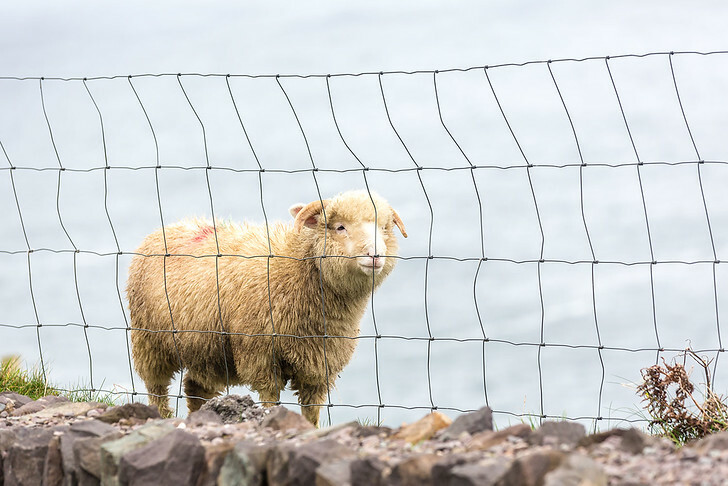 While the entire country is breathtaking (lots of cute sheep and rolling green hills), each Irish county offers a slightly different look and feel. We spent about 3 weeks in the Republic of Ireland, exploring the coastal Wild Atlantic Way and the cultural Ancient East on a road trip. So for today’s post, we thought we’d share some advice and helpful tips about planning a trip to Ireland. Keep reading below for advice on how to plan the perfect trip to Ireland! Where Should You Go in Ireland? The island of Ireland is politically divided in two. The southern portion constitutes The Republic of Ireland while a section of the north, called Northern Ireland, belongs to the United Kingdom. Unless you have significant vacation time, I would recommend choosing one or the other for a first time visit. On the western coast from north to south is the famous Wild Atlantic Way, a coastal driving route which offers dramatic views of the Atlantic ocean juxtaposed against cute hamlets and fishing villages. Must-see attractions along this route include Kylemore Abbey, the Cliffs of Moher and the Dingle Peninsula, to name a few! On the eastern coast is Ireland’s Ancient East, a region rich in 5,000 years of storytelling and legends as a result of the Viking invasion and subsequent Norman conquerors. 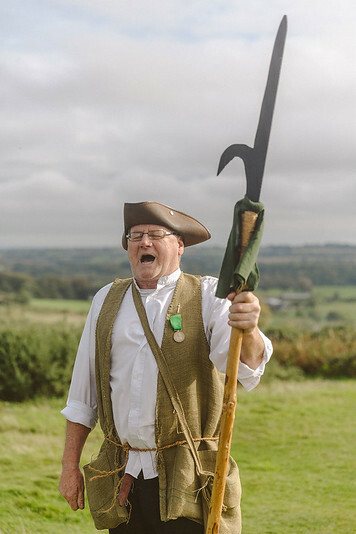 If you like museums, history and culture you’ll love journeying back in time to visit places like Waterford, Wexford and Cork – sites which inspired epic battles and strange tales. A short trip, base yourself in Dublin, explore the city and do some nearby day trips. 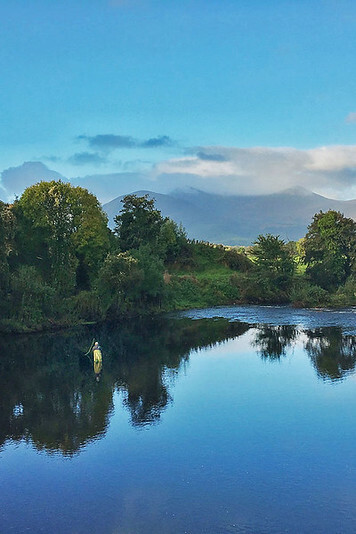 If you have 1 week, I recommend checking out Western Ireland, where the lush countryside meets the Atlantic – small towns like Dingle, Adare and Killarney National Park in County Kerry offer dramatic, beautiful views! With 2 weeks or more, you can make a circular loop and see Dublin, Western Ireland and explore Ireland’s Ancient East to learn more about the country’s Viking past. 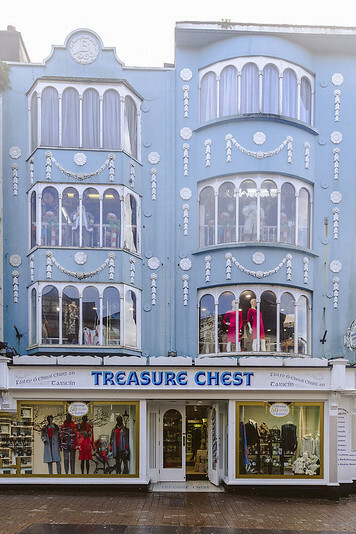 Explore harbor front cities like Wexford and Waterford, picturesque Cobh and kiss the Blarney Stone in Cork! The eastern section was my favorite part of visiting Ireland. After spending 3 weeks in Ireland, I had an amazing time and felt like I covered a lot! We slowed down in some areas and sped up in others so I wanted to offer some tips on Ireland itineraries of various lengths, since I know not everyone has the luxury of three weeks. Below, I’ve featured 7 of the best Irish cities to visit, including notes on the places I loved most, to give you an idea of what there is to experience in Ireland. I find that it helps to see a visual summary when mapping out my trip so modify your Ireland travel itinerary depending on your preferences! Most international airlines offer nonstop flights to Dublin – set a flight alert here to track fares. 2 full days is a must to explore the Irish capital but if you have more time, add in a couple noteworthy nearby day trips! Dublin reminded me a lot of London, with gorgeous stone architecture, local pubs on every other corner and green spaces. Take a sightseeing tour to see The Book of Kells, an illustrated Latin manuscript of the four Gospels. Dating back the early 9th century, you can see a whole host of beautiful ornate manuscripts in Trinity College’s Old Library. 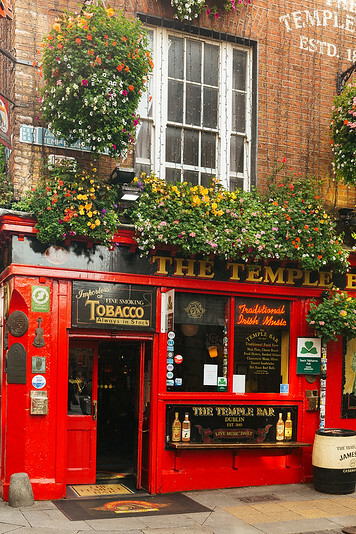 Have a drink at Temple Bar, the colorful Dublin pub which inspired a whole area of pubs. There’s just no way around it, accommodation in Dublin is expensive. Even in “low season” in mid to late October, all the Dublin hotels I searched for my trip were about $350-$500+ per night on a weekday – I’m talking even the airport hotels. Crazy, right?! It turns out Dublin has a hotel bed shortage so the limited number of hotels can charge sky high prices. Enter a great affordable pick like Generator Hostel, part of the new wave of chic, “not so hostel” hostels. Located right in the city center, Generator Hostel Dublin is set in the hip neighborhood of Smithfield – conveniently next to the Jameson Distillery and a quick walk to Temple Bar. The space is brilliantly designed in a industrial chic vibe, with exposed brick beams and original stonework. The best part is, you can book a private bedroom and still make new friends in Generator’s many social lounges & spaces. 1 | Shelbourne Hotel – If you want historic, iconic and luxurious you’d best stay at Shelbourne. Lots of US presidents and anyone of importance has stayed here! Or just admire the splendor during afternoon tea in their gorgeous parlor overlooking St. Stephen’s Green. 2 | O’Callahan – The affordable chain of O’Callahan hotels are well located, with great room + breakfast rates. Trinity College often puts up its guests and visiting professors here so it’s a solid mid-range option! 3 | AirBnB – Lots of locals are opening up rooms or entire apartments. While these aren’t cheap by any means (you’re paying what you would for a hotel in another city!) it can be much more affordable than a Dublin hotel, so check out Dublin airbnb listings as well. On Ireland’s western coast is the city of Galway, a harbor town where the River Corrib meets the Atlantic Ocean. Galway has great shopping, colorful buildings and a large student population. We enjoyed a quick day trip into town and then continued westward to the district of Connemara, a gorgeous rugged landscape home to Atlantic coastline, bogs, heath lands, mountains and lakes. 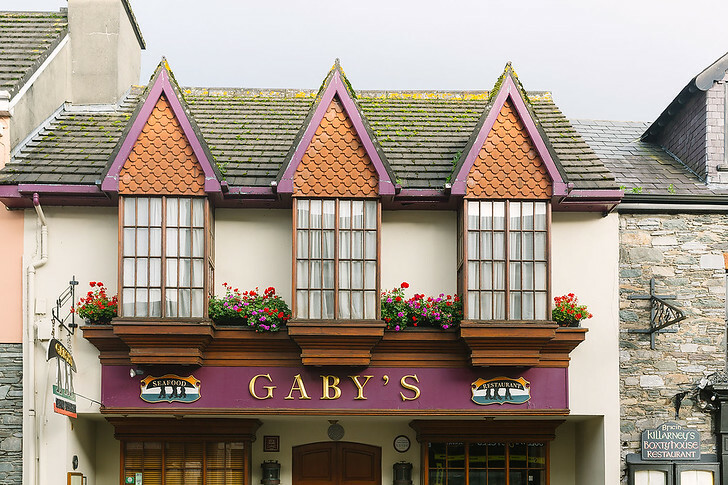 Explore Galway’s shops and traditional pubs at Eyre Square. Pop in for some traditional Irish music and Galway cuisine! Visit Kylemoore Abbey, a stunning castle now owned by Benedictine Nuns with magnificent Victorian Gardens. Pulling up to the ivy-decked pink exterior of Rosleague Manor, we knew we were in for a treat. This cozy country manor occupies 30 acres of private woodland and overlooks Ballinakill Bay. The highlight of our stay was playing fetch with local resident, Tyson, who had the most human-esque understanding of any dog I’ve ever met! All the rooms are spacious and if the weather gets too rainy.. just cozy up to the parlor and have afternoon tea by the fireplace! 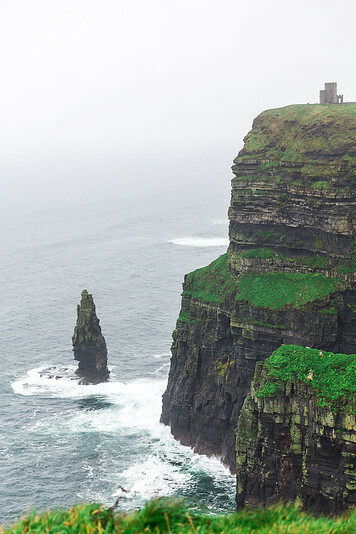 You can’t visit Ireland and not see the dramatic Cliffs of Moher! Even on a cloudy rainy day, these natural rock formations are quite dramatic. We also explored the Burren, a stunning landscape characterized by rock karst formations all over the ground. It’s a barren region that reminds me of the moon and was J R Tolkien’s inspiration for The Lord of the Rings. He actually was a guest of Gregans Castle Hotel, the manor house that I stayed at, which I discovered while I was exploring the grounds! Visit Aillwee Cave, underground karst caves full of stalactites and stalagmites. A stunning luxury hotel in the heart of beautiful Ballyvaughan village. This historic Irish castle hotel was once an 18th century manor house, but has been beautiful restored and I really loved the Irish country interiors! We also had dinner at Gregans,which I highly highly recommend. Dingle is a charming seaside town perched on the Atlantic and the only town on the Dingle Peninsula. From its dolphin resident to waterfront pubs, Dingle is a family friendly favorite to both Irish and international visitors. The town is mainly supported through fishing and tourism and has a great street full of shops, pubs and restaurants. 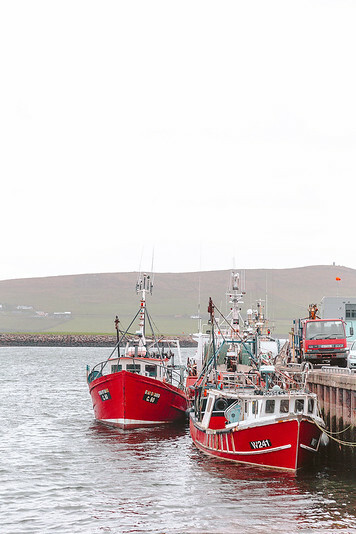 Dingle is one of Ireland’s largest Gaeltacht towns, where Irish is the official language and the town is technically called An Daingean or Daingean Uí Chúis. You’ll see this listed alongside Dingle on all the road signs. Grab a scoop of Murphy’s Ice Cream – try their Dingle gin and salted caramel flavors! Circle the Dingle peninsula by driving dramatic Slea Head Drive. Dingle Skellig is a family run hotel and one of the best hotels in Kerry. With friendly staff, a heavenly spa and epic views of the Atlantic Ocean, staying here is a treat! Killarney remains one of my favorite areas to explore in Ireland. It’s quaint, colorful and a little touristy – but in my opinion, it has a great mix of the outdoors and the comforts of luxury. You can hike or ride a horse & buggy through Killarney National Park during the day and then come back into town for some shopping, afternoon tea or a massage. There’s no shortage of things to do, excellent pubs and Irish food, and overall the charm of Killarney really won us over! Kenmare is a similar twin to Killarney so if you have time, check out both towns. If not, pick whichever is more convenient to access on your road trip! Ride a horse and buggy through Killarney National Park – or hike! The Killarney Royal occupies a great location right in the center of town. 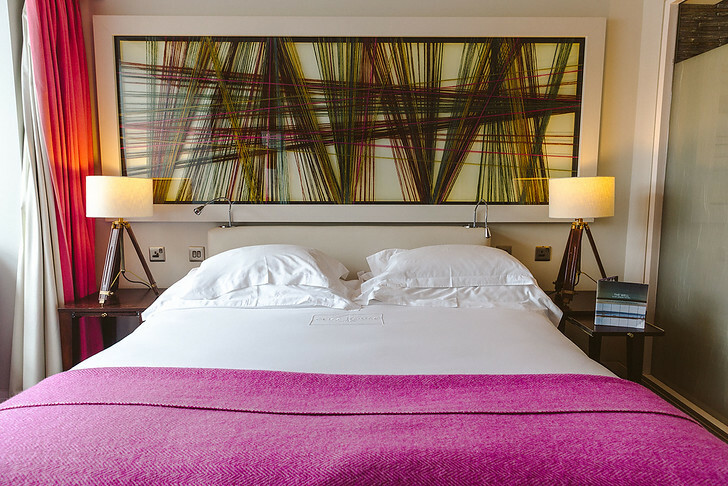 It’s a short walk from the Killarney train station and its luxurious, comfortable beds are just what you need after all the adventure and outdoor pursuits in Killarney! There’s also a wonderful on site restaurant with a very reasonably priced set menu, if you’re looking for a great place to eat in town. 2 | The Brehon – If you want 5 star luxury, there’s no place better in Killarney than the Brehon hotel. Just step into the lobby for a drink and you’ll experience the glam firsthand! We also treated ourselves to the Angsana Spa for a deep tissue massage. Their Thai masseuses really know how to work out any tension. Wexford is a coastal haven in southeast Ireland, with miles of spectacular coastline, quaint villages and an abundance of historic sights. 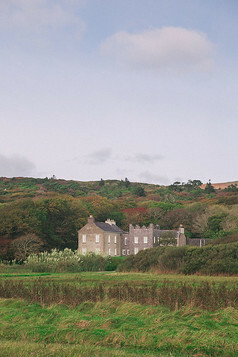 The county is quite popular with local Irish, and many buy vacation homes near the sea. Hook Lighthouse is the oldest operational lighthouse in the world, with a classic black and white exterior and incredible views of Hook Peninsula. Enniscorthy is a picturesque town dating back 1500 years. We checked out the castle, met locals for a step back into Irish / British history and visited some local pubs! To explore Ireland’s cultural evolution, visit the Irish National Heritage Park, an open air museum with lots to do. We had a fun Viking meal here and also got to meet the park’s falcons! Local Wexford weavers have created Ross Tapestry, a series of colorful, elaborate tapestries illustrating the Norman invasion and history of Ireland. It’s a completely volunteer led community project and was a nice way to learn more about the city and Irish history. Genealogy trips to Ireland are a common reason for overseas Irish to visit the country. If you’re interested in learning about the Irish famine period and Irish history, visit the Dunbrody Famine ship for an interactive experience. A 4 star country manor house, Brandon House is a comfortable hotel midway between Waterford and Wexford. 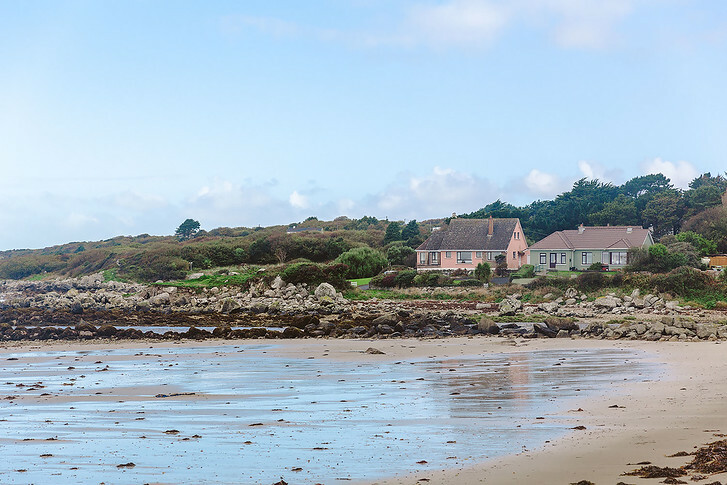 It’s convenientally located on the N25 road (on route to Dublin) and is close by to many of Ireland’s best beaches. We ate dinner here and it was an excellent meal – in particular, they have a huge dessert menu and a group of us ordered everything off it and literally everything was amazing. Try the cheesecake! 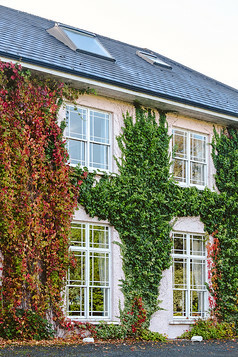 1 | The Clayton – Clayton Whites is located right in Wexford’s city center and a great choice for sight seeing and shopping. It’s within walking distance of the train and bus station and rooms are large and comfortable. 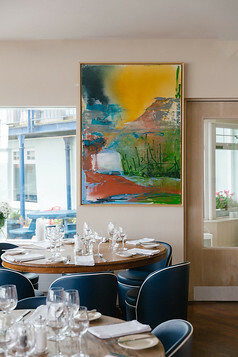 2 | The Talbot Hotel – The Talbot Hotel is located in downtown Wexford, right on the harbor. With huge, apartment style rooms this is an ideal hotel for families visiting Wexford. Free parking and a pool on site! 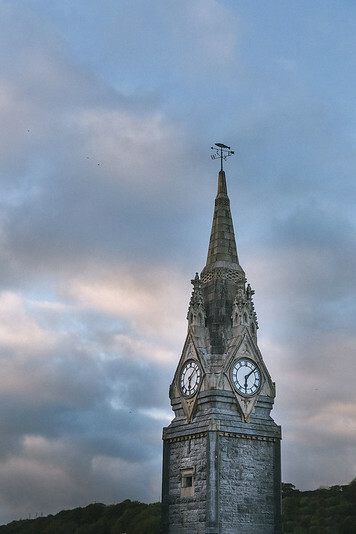 Waterford is Ireland’s maritime getaway and has a vivid past. First invaded by Viking raiders, then Norman conquerors and medieval merchants, it was notably also the last port of call for many Irish seeking their fortunes overseas. Waterford Crystal is headquartered in duh, Waterford! They offer a really fun guided tour that I highly recommend. You can read more about our experience here. For medieval history fans, check out Waterford Treasures and the Bishop’s Palace. Into adventure? Head to Dunmore East and jump in the ocean for kayaking, stand up paddle boarding or try the adventure obstacle course! Make sure to try Dungarvan Brewing Company beer while you’re in the area. Try the Copper Coast Irish Red Ale! Cycle along the Waterford Greenway, the longest off-roading and cycling experience in Ireland! Explore Mount Congreve mansion and gardens, a must if you like dahlias! Make sure to eat at the Irish pub, The Reg. The food here is incredible. Again, don’t skip dessert! 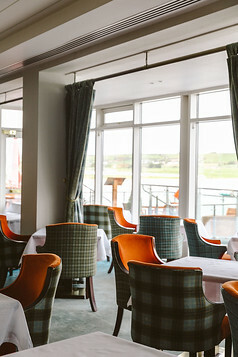 Located right on The Quay harbor front, this family run hotel has cozy rooms and a full Irish breakfast. It’s near the city center, shopping and sights and is a great affordable hotel pick in Waterford. What’s Not in the Itinerary Above: Northern Ireland. I didn’t have time to see everything and made the decision to skip Northern Ireland on this trip so it’s not included in this article. Northern Ireland itineraries frequently include a tour of Giant’s Causeway, the dark hedges and lots of the Game of Throne locations. County Donegal, on the northwest, was recently voted by National Geographic as ‘the coolest place on earth’ and has gotten great recognition for outdoor adventure sports so that’s high on our list of places in Ireland to visit. Northern Ireland is geographically close to Scotland, with ferry options from Belfast and since we’re hoping to road trip Scotland next year, we decided to save Northern Ireland for a later date! I planned my Ireland vacation itinerary quite quickly and relied heavily on Rick Steves Ireland and Lonely Planet. The reason I used both guidebooks is that Rick Steves’ tends to cover his favorite Irish cities and he omitted Killarney entirely. Lonely Planet covers more places but lacks Rick Steves’ warm commentary and insightful suggestions. P.S. Get a 30 day trial free of kindle unlimited here! If you’re like me, you enjoy a healthy dose of travel inspiration through popular culture. I’ve always loved reading about the Celts and Irish folklore and in high school, Irish authors like James Joyce were part of our curriculum. And of course, most people wanting to visit Ireland nowadays are hoping to see locations made famous from Game of Thrones! Below are some popular books and movies written about Ireland should you want some inspiration before your trip. 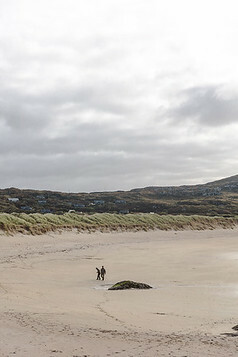 Should You Plan a Self Drive Ireland Itinerary? In my opinion, the best way to tour Ireland is by self driving. Ideally, plan an Ireland itinerary for enough days to cover a full circularly loop around the island, so that you get to experience a bit of scenery from the Wild Atlantic Way and the rich culture of Ireland’s Ancient East. It’s best to rent a car and self drive so you have the freedom to stop and go as you wish. If you’re hesitant to drive on the left, I wrote about our experience driving in Ireland here. While Ireland is a small country, the roads are really curvy and narrow compared to driving in America. Add the uncertainty and hesitation that comes with driving on the left, we found that it took a bit longer to get from place to place than Google Maps suggested. So if you want to self drive a Dublin to Dublin loop, I would budget at least 10 days and ideally 2 weeks. We rented a small, 4-door sedan and extra collision insurance. Most cars are manual, so specify if you need an automatic. You can also pick up and drop off in different cities. I have an in-depth post here covering everything you need to know about renting a car in Ireland, with helpful information about costs, extra fees and advice so you can check out that post for more info! If you have less time of course, you can speed through and/or cut out towns. 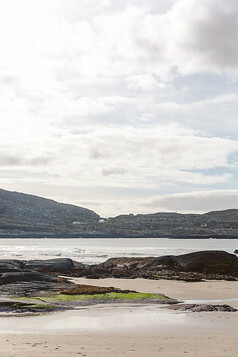 We added the Dingle Peninsula and Connemara to our driving itinerary in Ireland, but both are geographically a bit west, so you can cut these out if you have just 7 days and keep to a tighter route. Or, you can fly into Dublin and out of Shannon or Cork to save additional time. Regarding public transportation, there isn’t a wide spread bus or train network that covers the entire Irish countryside. Instead, you can take buses from city to city and book individual tours to day trip to popular sites. For example, you can take the bus from Cork to Killarney and then book tours for the Gap of Dunloe, Killarney National Park, Muckross House etc. It’s a little more piece meal this way and requires a bit of planning but Irish bus route schedules are available online. A third option is to book a package tour if you’re not comfortable with driving and don’t want the hassle of booking public transportation. I saw loads of tour buses all over the entire journey, everything from Trafalgar to Globus. I’m always curious how self-planning trips compares to tour packaged itineraries so I looked online afterwards – they do hit all the popular cities and sights in their “best of Ireland” tours and so if you wanted to avoid driving on the left yourself, I think they would be a good option. Ireland of course offers 3, 4 and 5 star hotels, just like you would find anywhere else. Some glamorous, some bare bones – there’s lots to choose from. You can browse current hotel deals for Ireland here. Most of Ireland’s castles lay in ruins and there aren’t many castle attractions remaining in Ireland. Instead, the most dramatic castles are privately owned and have been restored into luxury 5 star hotels. Most all the castle options are luxury hotels, given the cost of maintenance but even if you just splurge on 1, it’s such a treat. 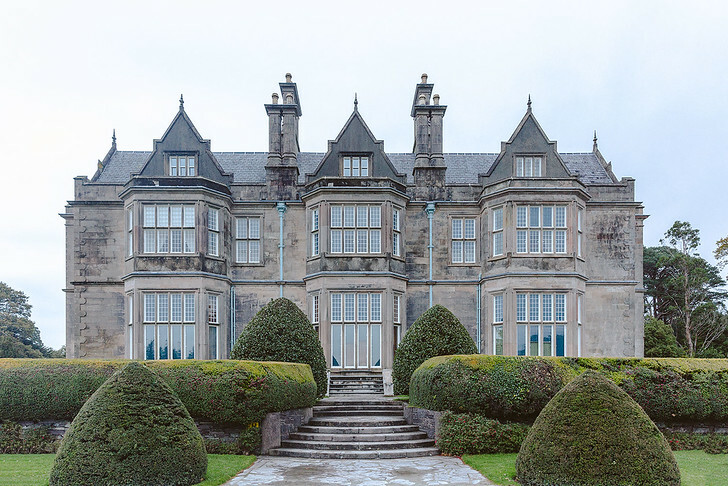 Staying in a castle in Ireland gives you an insider look at some really gorgeous architectural details and the grounds typically have masterpiece gardens to explore. For kids, there’s archery, falconry, horse back riding and other medieval pursuits to enjoy while parents can relax at the spa or play a round of golf. 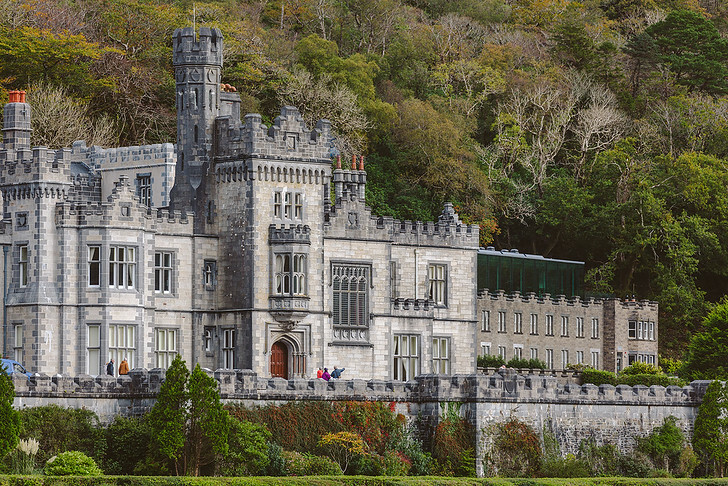 Read more: 10 Epic Castle Hotels in Ireland You Can Actually Stay In! Ireland’s Blue Book has a stunning portfolio of Irish country houses, historic hotels and manor houses. All of them remain family run, with charming exteriors and brilliantly decorated interiors and for a romantic Ireland vacation, you will definitely want to stay in one of these! 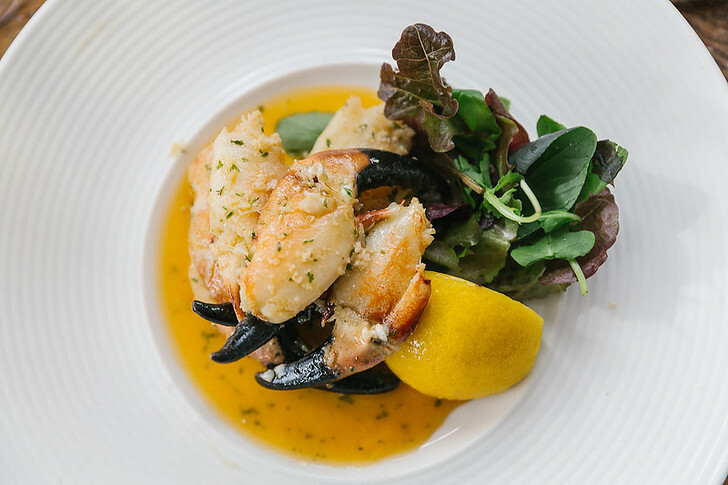 Historic Ireland hotels also tend to have incredible chefs running their on site restaurants. I’m not typically one to eat at a hotel but in Ireland we ate dinner at so many hotel restaurants because they’re excellent! Then after, we would head over to the bar / pub area inside and there would be so many people, both locals and tourists, listening to live Irish music and having a great time. And that’s it! Hope this Ireland itinerary guide was helpful. Feel free to ask any questions in the comments!